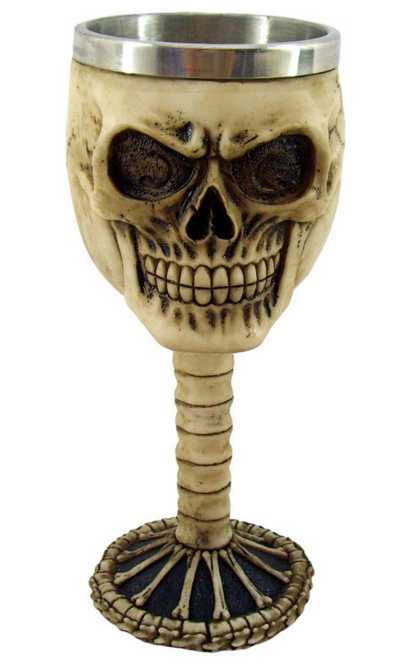 Cleaning Instructions: To wash the drinking vessel remove the stainless steel inner from the vessel. 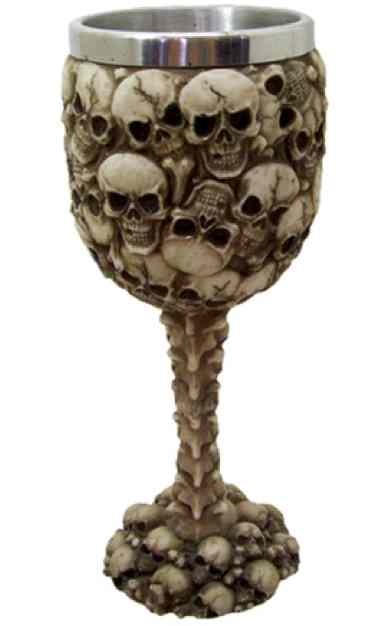 Only wash the stainless steel inner. 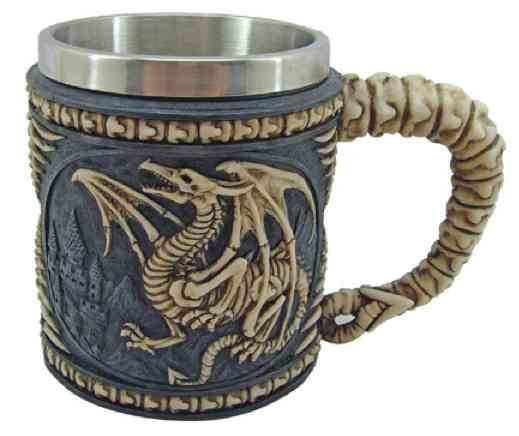 The outer drinking vessel should only be cleaned with a damp cloth. 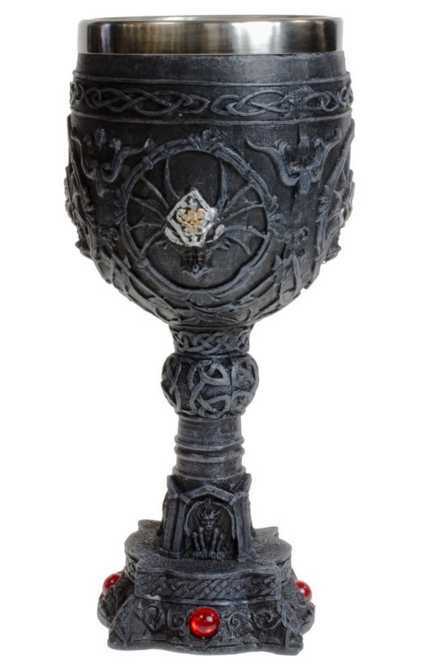 The goblet is recommended for ornamental use only. 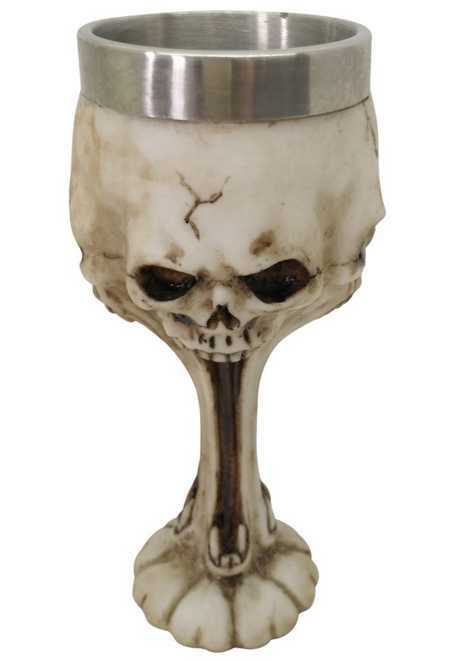 Ghost Wolf goblet is adorned with a wolf's head. 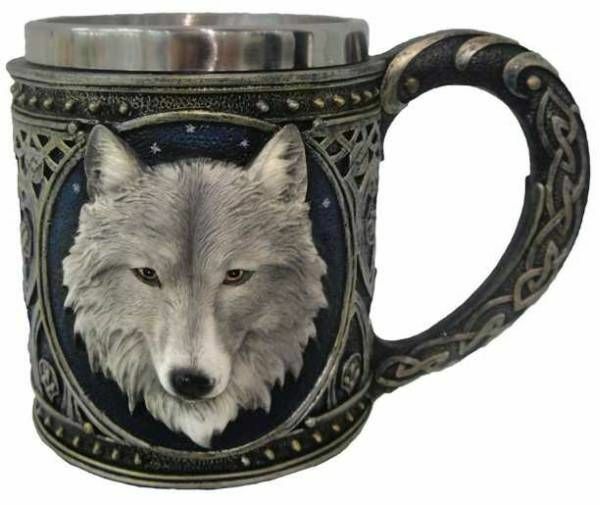 Night Wolf goblet is adorned with a wolf's head. 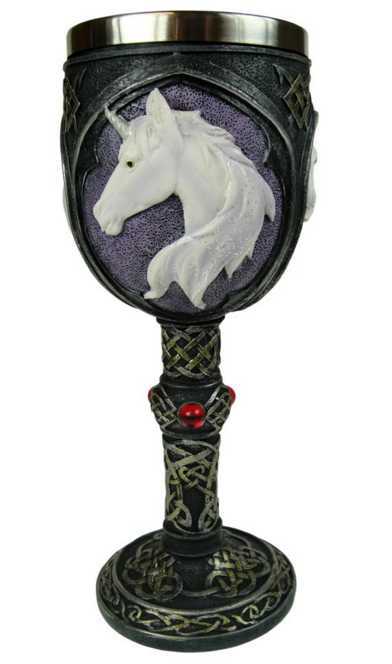 Unicorn Refreshment goblet is adorned with white unicorns. 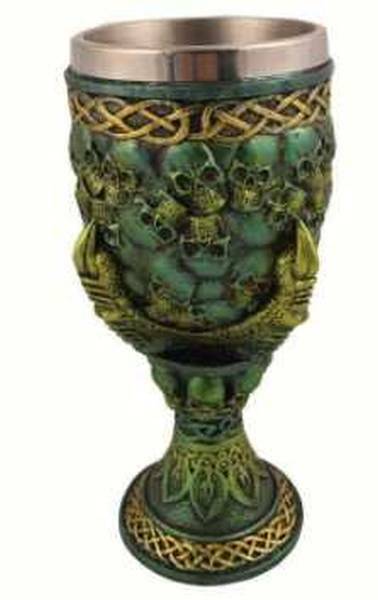 Emerald Grip of Death Goblet is adorned with skulls. 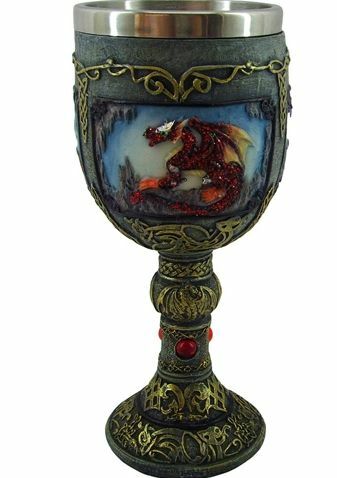 Coloured dragons adorn the outer drinking vessel of the Dragon Revenge goblet. 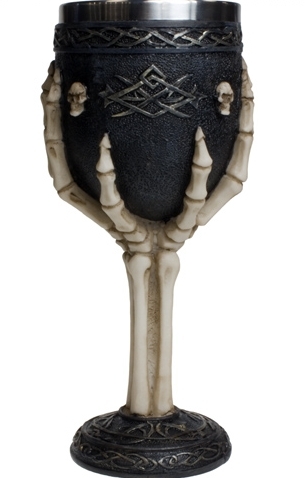 A skeletal hand adorns the outer drinking vessel of the Dragon Revenge goblet. 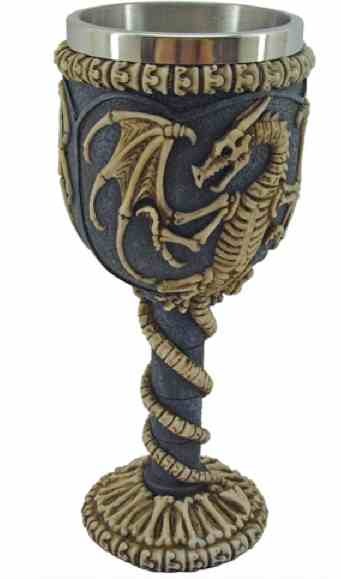 A dragon skeleton adorns the outer drinking vessel of the Dragon Remains goblet. 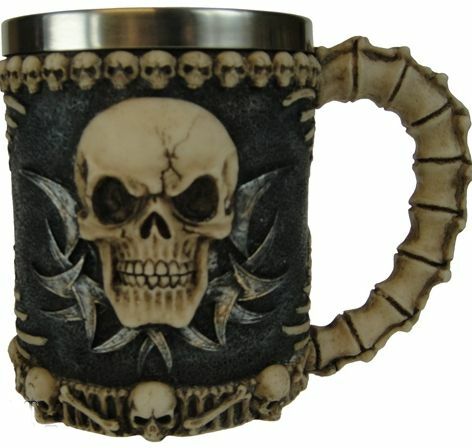 Jaw Dropper has a fixed stainless steel cup. 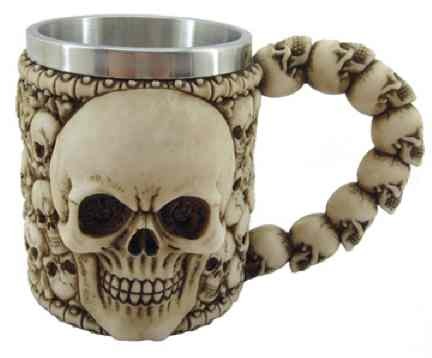 The tankard is recommended for ornamental use only. 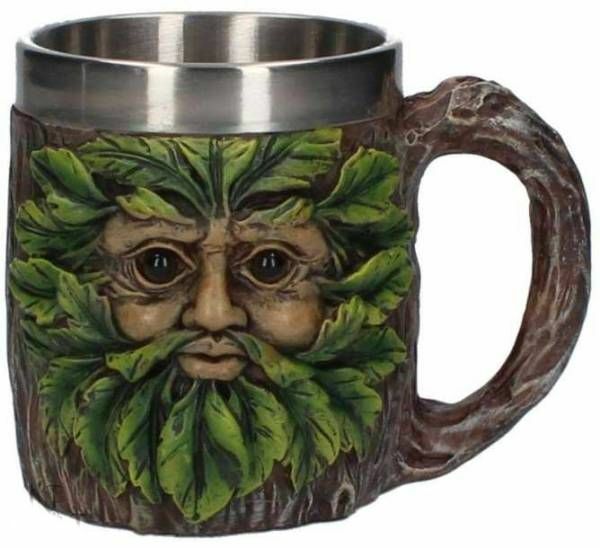 Eyes of the Forest Tankard. 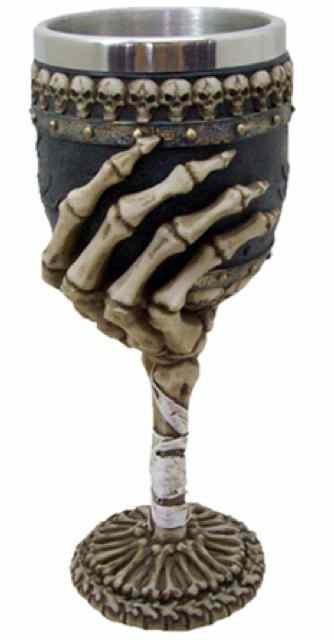 These hipflasks are made of stainless steel and hold 7oz of liquid. 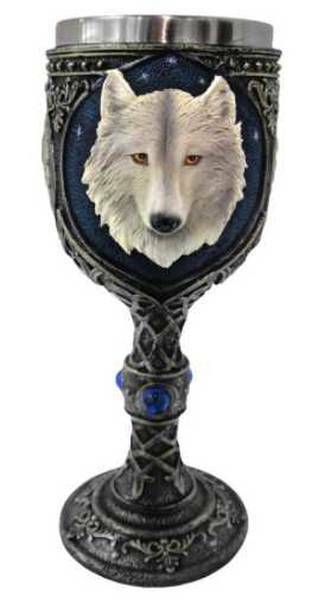 The image is transferred onto a leather-like coating. 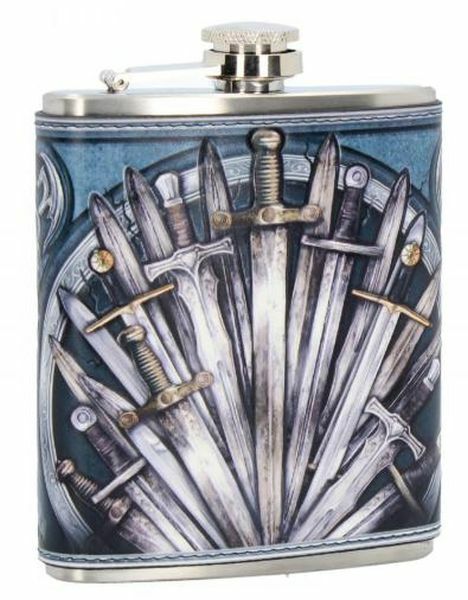 The Swords Hipflask shows a fan of swords. 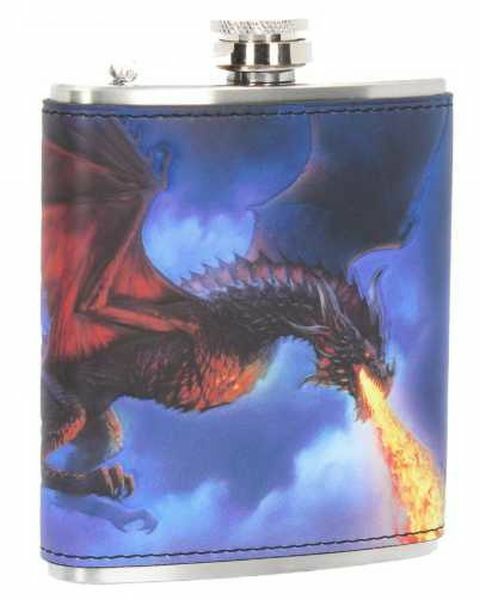 James Ryman's Fire From The Sky hipflask shows a flying dragon breathing fire. 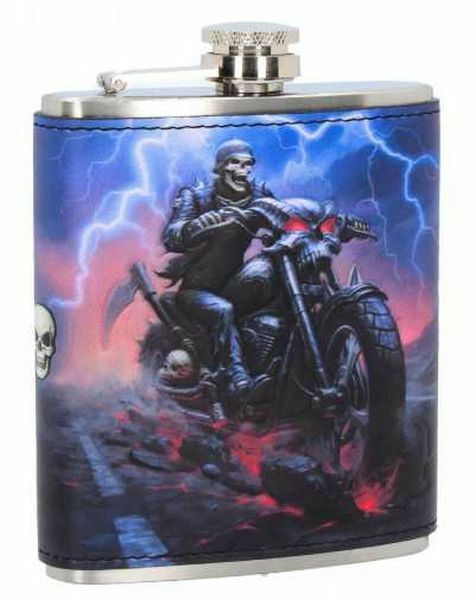 James Ryman's Hell On The Highway hipflask shows a skeleton riding a motorbike on a burning road. 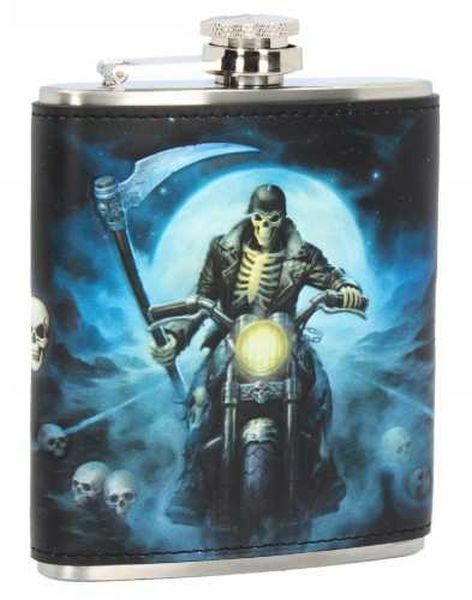 James Ryman's Hell Rider hipflask shows the grim reaper riding a motorbike.